What does Cardiff University Postgraduate Diabetes Education department offer? The Postgraduate Diabetes Education was established to equip Health Care Professionals who have an interest in diabetes with a sound knowledge of the subject. This is achieved by providing the opportunity to examine up to date clinical information, aspects of treatment and referral guidelines for diabetes and diabetic complications as seen in practice. Students will gain the skills needed to develop materials and evaluate aspects of diabetes care. How will it help with my Personal Development? UK students may apply for CPD points. All of our highly interactive online programmes are accessed through: https://learningcentral.cf.ac.uk allowing rapid and efficient communication between colleagues, tutors and course administrators. Each module will be based around a set of 8 weekly topics which will form the basis of your group discussion. Discussions will take place in dedicated forums which encourage the development of original interpretation and thought. Are there any face to face elements within the programmes? Our Postgraduate Certificate & Diploma programmes include two days of introductory lectures at the beginning of each year with the remainder of the course online. These lectures are designed to give you a taster of the modules to come as well as giving you the opportunity to meet your expert Tutors and colleagues from around the globe. Although the Introductory Lectures are not mandatory, we do recommend that you attend in order to gain a deeper insight into how the programme works before you begin your studies. I have not studied online before, what can I expect? You do not need to be a computer expert to study on our programmes. Learning online is becoming more popular as it offers the convenience and flexibility of fitting your studies around your clinical work and allows you to put your studies into immediate practice. We do not expect you to do anything more complex than use an internet browser and simple word-processing software. You learn in your own time, at home or wherever you choose. You will have full support from our Learning Technologist throughout your studies with Cardiff University as well as your Tutor and the administrative team, should you encounter any difficulties along the way. Which modules do you offer? How long does your programmes take to complete? Each module lasts a maximum of 10 weeks. Three modules taken over a one year period make up the Postgraduate Certificate in Diabetes. How much time do you recommend studying during a module per week? Although this will vary from student to student, we recommend dedicating 10-15 hours per week to the programme. What are the benefits of doing an individual module? Individual modules allow Health Care Professionals to study for 20 M Level Credits whilst only committing to 10 weeks of study. Our wide range of modules are designed to encourage those who have perhaps been away from structured education for some time to develop the confidence to re-join formal education and to test if online learning is suited to their needs. Undertaking an Individual Module will allow you to study the aspect of diabetes care most relevant to your interests and work demands whilst also allowing you the flexibility to continue onto a Certificate of Diploma programme upon completion. Our Examining Board meet once a year to consider the performance of each student in module assessments in accordance with Cardiff University Senate Regulations for Modular Postgraduate Taught Programmes. An overall mark is calculated based on the weightings of each component within the module. The pass mark for the module as a whole is 50%. If a student fails to meet the pass mark of 50% overall for the module they will receive ONE opportunity for reassessment. The resit mark will be capped at 50% if a student successfully passes the module on second attempt. Will I earn learning credits for my study on the course? Each module achieves 20 CATS (Credit Accumulation and Transfer Scheme, the credit points awarded by universities within the UK) points. Can I extend my studies on completion of the Diploma? Yes. Cardiff University is proud to offer our exclusive MSc Diabetes. This 1-year distance programme has been carefully designed for students who have successfully completed the Diabetes Diploma. The MSc Diabetes begins with an initial 10 week taught stage in general research skills followed by a 20,000 word dissertation on a professional project. Support and guidance will be provided throughout the programme by designated tutors and supervisors. What are the entry requirements for your postgraduate programmes? Our Postgraduate Individual Modules, Certificate & Diploma programmes are open to all healthcare professionals with a clinical responsibility for people with diabetes. Our programmes aims to provide high quality diabetes education to those who wish to gain expertise in the practical management of diabetes. Our MSc is designed exclusively for those students who have successfully completed our diploma in diabetes programme with a merit or distinction grade. A copy of your original medical qualification (e.g. MBBS) along with an English translation, if appropriate. I have gained sponsorship to fund the cost, is this acceptable? Yes. We welcome sponsored applications; we will require an official letter from the sponsor to confirm how much/ what percentage of the fees are being sponsored after you have been offered a place. Can I pay in instalments for your programmes? Will I have access to Cardiff University resources? You will have direct contact with an international faculty of tutors who are experts in their field. They will be providing first class support throughout the programme. In addition you will have secure access to the University’s distance learning library once you are enrolled. What benefits does this course bring? After completing this course, our graduates are able to use their qualification to demonstrate evidence of knowledge in diabetes management. This would therefore strengthen your position as you try to develop yourself in line with the local specialty requirements in your country. Online Postgraduate Courses in Diabetes present a unique way of studying to fit around the complex current commitments of health care staff. The flexibility the online courses offer is highly compatible with hectic work schedules and allows staff the chance to help maintain a healthy work/life balance. IPad and Laptops give you the flexibility as you can log on wherever you are. For many Healthcare Practitioners returning to Education is a first class opportunity for in-depth reflection on their clinical practice since basic training. An exclusive opportunity to apply for our MSc if you choose the Diabetes Diploma route - This one year distance learning course is exclusively available to graduates of the Diploma in Diabetes and is carefully designed to assist your career as experts, leaders and innovators in the field of diabetes. What are the Postgraduate Diabetes Education Aims? To encourage a culture for training of health care professionals by the development of a network of experienced clinical teachers. Upon successful completion of our programmes you will become a member of Cardiff University's thriving alumni network. With over 130,000 active members, the alumni network offers exclusive ways to connect with fellow alumni across the globe, both online and in person. Join our professional and social groups and events; keep in touch with University developments through our bi-annual magazine and monthly e-newsletter; and take advantage of job advertisements and the careers service at Cardiff. Lifelong membership is automatic and free, and you can register online today. What happens after you have been offered a place on our courses? Cardiff University will send you an official offer to join the course of your choice via the email address provided. Once received, please follow the links to accept the offer. You will then be able to see payment options for the deposit which will need to be paid at least 2 weeks before the course is scheduled to start. Once you have accepted the offer and paid your deposit you will be sent enrolment information. It is essential that you enroll before the programme begins so that you will have access to the course content and study materials. Upon successful enrolment, the administration team will contact you with details of the Introductory Lectures. What happens when the course is about to start? You will receive a welcome letter from us approximately two weeks before the course commences; included in the letter will be further details on how to get started, your log in details and password to the website and the group to which you have been allocated.  A new online service provided by Cardiff University to manage applicant enquiries. 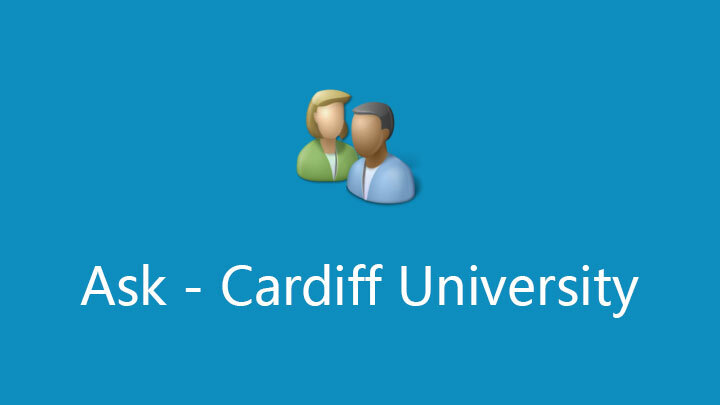 Applicants can use their Cardiff University username and password to log into the Ask Cardiff service.